Géza Páskándi (1933-1997) was born in the Hungarian village of Szatmárhegy in Transylvania, Romania. He graduated in law and began to work for papers published in Hungarian in Romania. As so many of his peers who felt drawn to the Hungarian revolution of 1956, Géza Páskándi was imprisoned in 1957. He was released in 1963 and could move to Hungary in 1974. Similar to many other writers who changed their homeland but not their language, moving to Hungary proved to be a turn in Páskándi’s career. 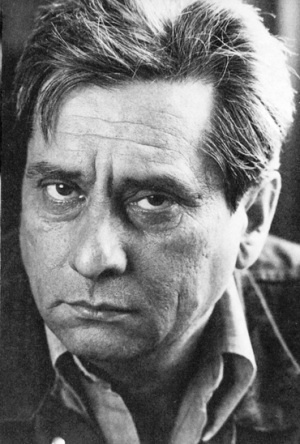 His intellectual and avant-garde poetry :Tű foka (Eye of the needle, 1972), his famous dramas, evoking figures of Transylvanian cultural history: Vendégség (Feast), Tornyot választok (Selecting a tower), Szekértől elfutott lovak (Horses running away from the wagon), as well as his grotesque and biting one-act plays, were slowly followed by absurdist, yet constructive comedies and 'verse-garlands' displaying countless literary forms, all these demanding high creativity and a constant playfulness in language, cf. the documentary novel A sírrablók (The grave-robbers), 1991, as well as his essays.